Transport Minister Stephen Mullighan says it’s “to be expected” that ride-sharing interloper Uber would remain “standoffish” about setting up shop in Adelaide, despite the Weatherill Government moving to legalise its operations from July 1. Uber’s SA General Manager Tom White yesterday flagged concerns about lengthy waits for police checks and other red tape, warning the company’s ride-sharing arm UberX was no certainty to take advantage of the new regime. However, the very fact Uber has established a staff – complete with General Manager – suggests otherwise, as does the recent zeal with which it’s understood to have been recruiting drivers. Uber’s national CEO, Adelaide-born David Rohrsheim has also waged a fierce campaign for the Government to legalise ride-sharing, telling InDaily in December that if the Government legalised the business “this afternoon we’d be ready”. “Here we are with ride-sharing ready to go today…we asked for permission to operate and we’ve been waiting for a year for a decision from Government – what sort of signal does that send to other innovative start-ups?” he said at the time. Mullighan told InDaily today Uber were “obviously in the early stages of convincing all [state and territory] governments they should be allowed to operate”, and it was in their interests to push for as few costs on their business as possible. He said the SA legislation had “taken a leaf out of NSW’s book” with a $1 levy per fare to pay for taxi licence compensation, and a leaf from the ACT in the structure of its broader regulatory regime – both markets in which Uber quickly established itself. “They’re concerned about what sort of precedent is being set by Governments coming out with [these] announcements, and they’re pushing as hard as they can to try to get us to remove as many requirements and costs on their activities [as possible],” Mullighan said. “We’re seeing their competitors like GoCar and other ride-sharing operators committing to coming into the SA market, and Uber’s being standoffish…but we think we’ve got that right. Mullighan said he was “not going to answer on behalf of Uber” about their intentions, but responded to the company’s gripe about how long it would take for its drivers to meet the regulatory requirements needed to operate. “The message we’re sending them is ‘you’ve now got 10 or 11 weeks before 1 July’. If they want to start getting their drivers accredited and processed, they’ve got plenty of time to do that,” he said. If Uber remains publicly apprehensive, other disrupters are pushing ahead, with Ingogo today launching its full service application in Adelaide after operating an in-car payments system here for the past year. Chief Marketing Officer Jeff Lim told InDaily even with that limited operation, “we’ve grown from zero to 700 drivers, 18 to 20 per cent of the market, so there’s obviously the demand for it, as the response over the past 12 months has demonstrated”. Mullighan has long railed against the Cabcharge monopoly exerting an arbitrary 10 per cent surcharge, even on EFTPOS payments, and Lim says “Cabcharge have had it good for a really long time”. “It’s taken players like Ingogo and GoCatch to disrupt the taxi market, before coming along to disrupt the point-to-point market and we’ve really redefined what that market is,” he said. 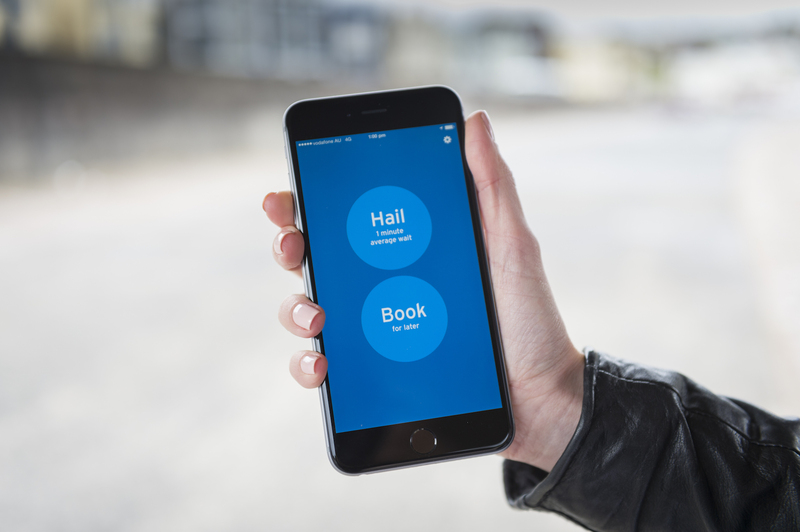 The app will allow SA customers to make, manage and customise bookings through their smartphone up to two days in advance. CEO Hamish Petrie said “the most common piece of feedback we get from customers is that they want better taxi service to airports”. “Being able to book a taxi in advance removes the stress of a taxi void at peak-times when you are most in need,” he said. Mullighan said Ingogo was a “pretty exciting product which provides a really good alternative for people within the industry”. “It’s far more cost competitive than some things out there at the moment, and Ingogo are keen to get cracking, which is great news for SA as well as people already in the industry,” he said.